I was recently in Berlin for the annual Autodesk OTx conference getting very excited about the new features that they were going to show us as the 2018 software had just been released. As I gleaned over what classes to attend I happened to see an Intro to Virtual Reality Class. Okay I had seen the GearVR, killed some zombies (which was lots of fun) and looked around a static room, but I was keen to see where Autodesk was in terms of their development alongside VR. Going into the class I was full of thoughts on how difficult it is to get a model into VR. From what I had read previously it was not just plug and play. You had a model and then you needed to put it into some gaming program like Stingray and then you would do LOTS of coding and then, only then did you get your VR. So a very long and drawn out process in my opinion. So we had our first demonstration. I thought to myself okay it is a scripted demo so it is all worked out and it will run smoothly. 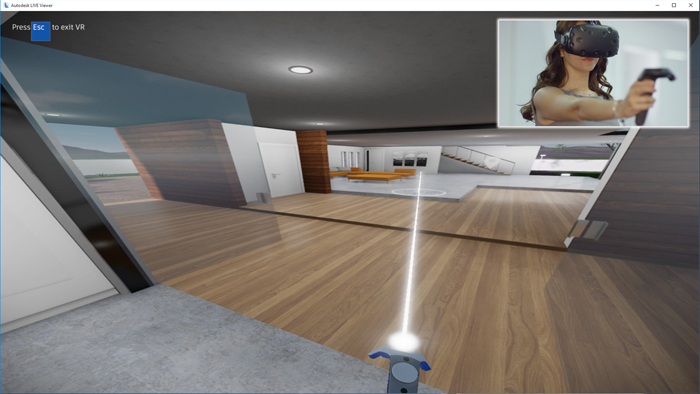 The demo started…..They saved an Inventor model……opened up the prepped Inventor model in the new VRED 2018…….ran a script to call the headset ad controllers, put their HTC Vive on and started walking around. Okay cool. It was already prepped and ready to go but then they said, okay let’s try that from scratch. My attention peaked.. Surely it would take forever to get the model fully functioning in a VR environment within the 15 minutes or so of time we had left. They used a DWF model as it was more lightweight than the Inventor model (TIP: better workflow for larger models) Opened it in VRED. Applied some materials. Baked them on. Ran the script to call the headset and the controllers and ………..wah wah waaaaaaaaaaah. It looked very wrong. Everything was out of proportion. Never fear said the presenter. He opened up a model that already had a working model in VR. MERGED the 2 scenes and VOILA!!!! We could walk around in the new model. BAZINGA!!!! When analysing the model it was found that the scaling for the DWF was wrong, so if we had to scale it up it would have worked perfectly the first time. This all in under 10 minutes. A proper no prepared demo on how to get a model into VR from CAD. I am amazed and hooked and so ready for the next adventure with VR!!! !